The high performance SleekWrapper 45 servo driven horizontal flow wrapping machine designed with reliability, simplicity and serviceability to produce up to 150 packages per minute with a maximum web width of 18” or 450mm, built for 24/7 environment. 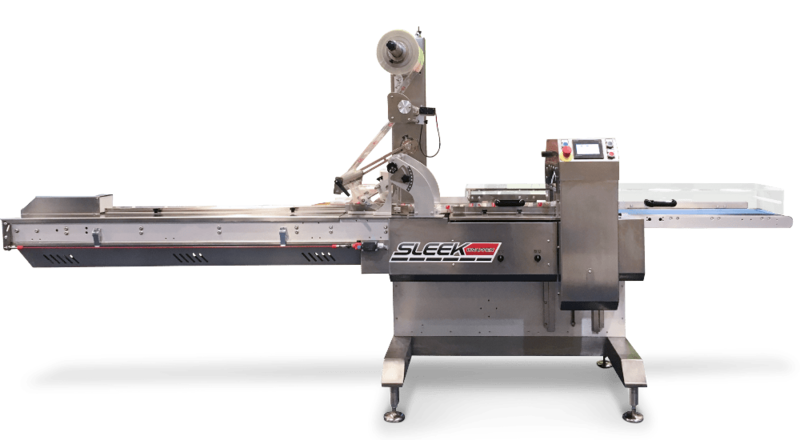 The Sleek 45 flow pack machine uses 4 servo motors that create quick and easy changeover and adjustment, reduces product and film waste during production and offers low maintenance costs. Servo drives assures precise positioning, smooth acceleration – deceleration. Package a wide variety of products including wrapping chocolate, cookies, granola bars, healthcare items, home goods, pharmaceuticals, confections, hardware, fruits, vegetables and much more.